You never know when you will need emergency towing services. 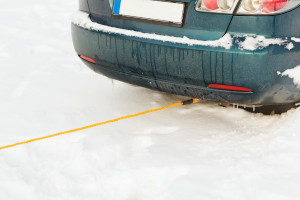 Our Aurora towing service is the cheapest towing service around. Here at Tow Metro Denver we offer fast, efficient service at any time anywhere in Aurora, CO And when we say anytime, we mean it - 24 hours a day, 7 days a week, 365 days of the year. Unfortunately, emergencies are not something that you can predict. You can however, prepare for them, by keeping our contact information handy and giving us a call when you need us. After all, that’s what we’re here for! Running out of gas can be easily avoided by never letting your tank drop below half way full. This is especially true in the colder months when people typically leave their vehicles running before getting in them, in order to warm them up. Of course, keeping your gas tank full can be a difficult task if you are coming from out of town and there is a long distance between gas stations. And occasionally we all forget. For those “oops” moments, contact us right away our Aurora roadside assistance team will either fill you up with gas or tow you to the nearest station. Engine issues are harder to avoid, but still can be looked after by getting regular check ups done on your vehicle and never ignoring the check engine light. If the check engine light comes on, be sure to take your vehicle to the nearest automotive repair or oil change place. Sometimes however, you will have engine issues without the check engine light appearing, and in those instances if your vehicle breaks down you will need to call us for immediate emergency Aurora towing or Aurora roadside assistance. We will tow your vehicle to the nearest service center so that you can get the problem fixed right away. We do offer the cheapest towing service around. Flat tires are another common, yet sometimes unavoidable problem on the road. Whether you run over something sharp and pop a tire or it finally gives out due to old age, we are here to help. Of course it is best to always keep a spare tire handy, but in case you don’t have one we can tow you to the nearest replacement center. Flat tires come on suddenly and can be a stressful and scary situation. Our professionals are nothing short of excellent at their job, and they will make sure that you feel comfortable and relaxed in the meantime, knowing that you’re in good hands. Weather is probably the most fickle of all road factors, as it is completely unpredictable at times. Caught in a sudden snowstorm and due to the cold your vehicle stops working? The stress of a situation such as this is heightened due to the fact that a blizzard is not a great time to be stranded, especially if you do not have an emergency roadside assistance kit with you. But worry not; our expert professionals will save the day by bringing both you and your vehicle back to a safe and warm place. If you break down, have an accident, get stuck in the snow, go into a ditch or any other reason, Tow Metro Denver works 24 hours a day, 7 days a week through Aurora, CO. Give us a call and let us know where you are, and where you need your vehicle towed to. We will provide a quick, accurate quote over the phone, along with an estimate of when we will arrive at your vehicle!